Manuel and Maria Trust in Jesus! Pastor Joaquin Guerrero learned about the ministry of HOPE Coffee on June 29th at a pastor’s meeting where Abelardo was sharing about meeting needs for unsaved people in the community as a way to share the gospel. Immediately Pastor Joaquin began working with his church to find a family in their community whom they could serve in this way. 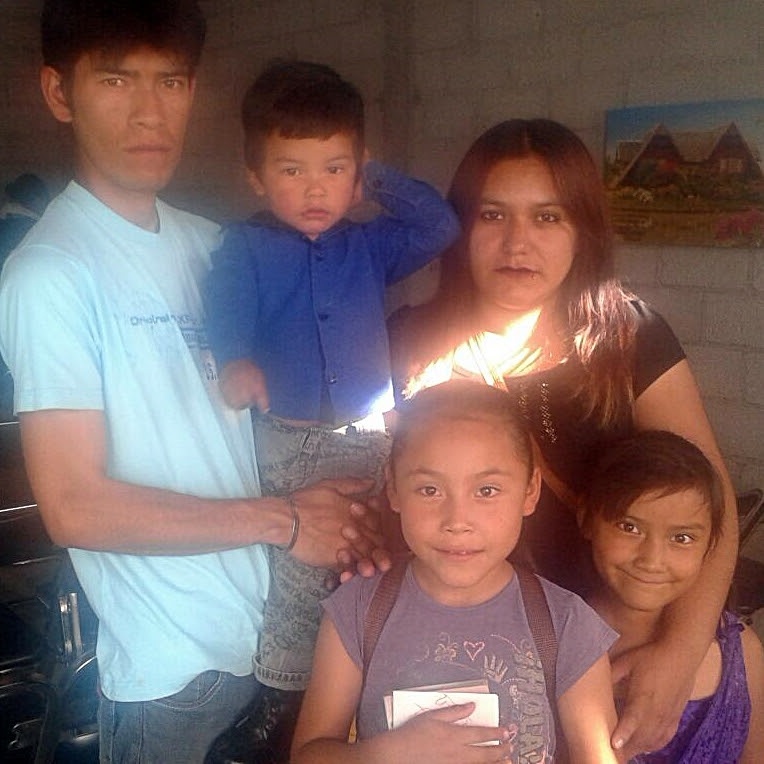 In mid-August, Pastor Joaquin met Manuel and Maria and learned of their need of a roof and electricity for their home. The seed of the gospel was planted and watered as the church members shared the gospel with Manuel and Maria and their three little kids—Evelyn, Aime and Irving. In early October, the church started the process of planning and buying materials in preparation for a November launch date for this project. On October 15, 2017, both Manuel and Maria trusted in Jesus Christ as their Savior! We are so thankful for partnerships like this where HOPE Coffee can encourage and provide ways for the local church to meet basic needs and share the gospel. The gospel was planted and watered and God gave the increase! Praise God for His Harvest!